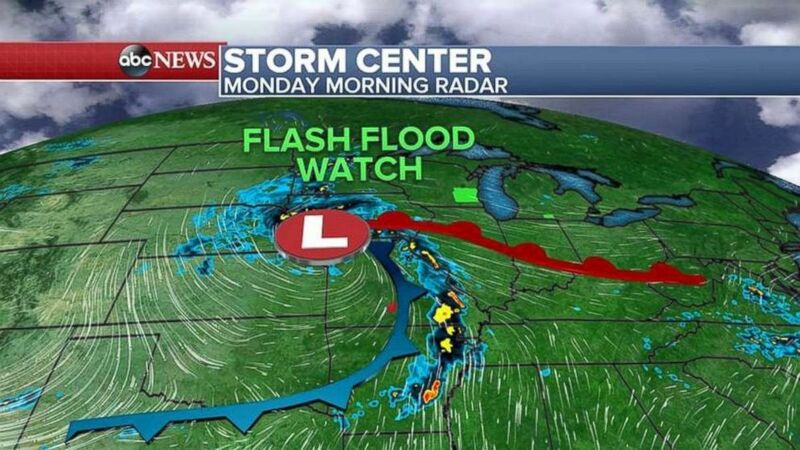 A large storm system responsible for seven tornadoes and over 5 inches of rain in the Plains over the weekend is bringing more severe weather and flash flooding as it moves east. The storm stretches from Minnesota all the way down to Texas. Flash flood watches are issued from Wisconsin all the way down to the Gulf Coast. 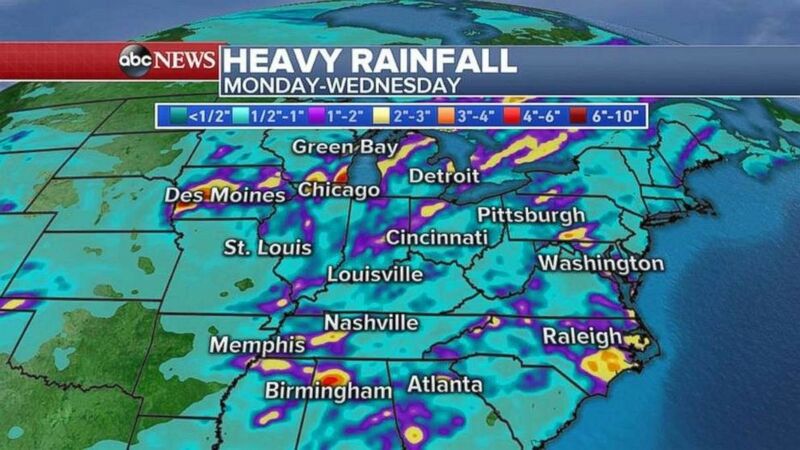 The storm system stretches from Wisconsin all the way down to the Gulf Coast on Monday. 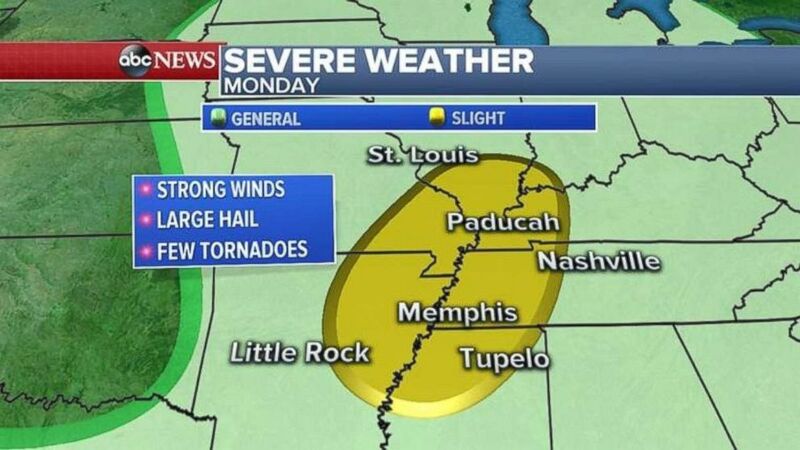 The storm threat for Monday will be around Little Rock, Ark., Memphis, Tenn., and Paducah, Ky.
By Tuesday, the storm system will move east and the severe weather will come with it, with cities like Washington, D.C., Pittsburgh and Erie, Pennsylvania, in the path of the strongest storms. The biggest threat will be damaging winds and hail, but an isolated tornado can’t be ruled out. Flash flooding is also possible. The storms will move into the Northeast, including western Pennsylvania and parts of West Virginia, Maryland and Virginia, on Tuesday. Rainfall totals will be locally heavy, with some pockets possibly receiving more than 4 inches of rain in a short period of time, which could cause flash flooding. Rainfall totals will be locally heavy, with as much as 4 inches possible in areas such as eastern North Carolina.